​Summer 2019 Registration NOW OPEN! Campers learn fine art concepts, such as color theory, composition, value, and perspective while having fun exploring a variety of different mediums and activities, including painting, drawing, sculpting, arts & crafts and creativity games. Our art camps are designed to teach and develop students overall drawing skills, painting technique and artistic creativity. Campers also have the freedom to work on a painting different from the camp theme. All supplies included. EXTENDED CARE: Sign up for before &/or after care to extend your day from 8am-6pm! ​Description: Learn how to develop your own characters and bring them to life with the magic of animation! Create original stop motion animation and flip books to get your ideas, your creations and your characters moving! Description: If you are facinated by robots, dinosaurs and outer space, this is the week for you! Let your imagination run wild with us during Science Week as we explore life of the distant past and the science and technology of the future! Description: North Beach is famous for it's art, food and Italian Bakeries, inspiring generations of artists with it's unique character and flavors. Another favorite week and field trip of both campers and counselors alike, join us as we visit some of the best sweet (and savory) spots in North Beach for tasty inspiration! Description: Combining art, science and a love of the ocean, Ocean-art-graphy celebrates our beloved local Ocean Beach as a resource for inspiration, a sanctuary for wildlife and a creative playground! Join us as we hike Sutro Hill, draw the amazing views from Lands End and enjoy the natural beauty in our neighborhood backyard! This is a special 3 day camp due to the July 4th holiday and is prorated for the shorter camp. Week 4 is discounted as a shorter week for the July 4th Holiday, running Monday-Wednesday. Find the discounted Week 4 camp price HERE. Description: Do fantastical stories of superheroes fly through your imagination? Do you fill your notebook with characters and cartoons? Then come join us for a week of cartooning and comics where you will hone your skills and learn tricks and techniques to bring your comic skills to the next level. Description: Cute animals is the name of the game for art camp this week! 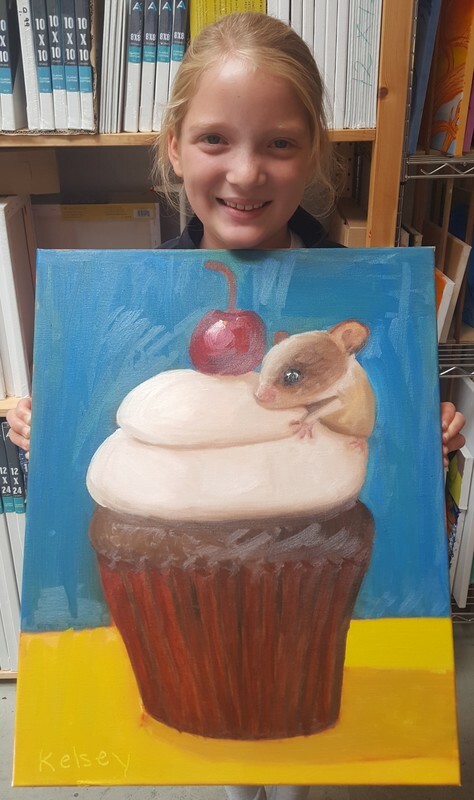 Whether you have a pet you would like to paint or have a dream pet you can only bring home as a painting, Paint-A-Pet allows you to create art of and for our cuddliest, furriest animal buddies. Dogs, cats, bunnies, lizards, hamsters, birds, tarantulas, pot bellied pigs and more! Who are your animal best friends? Description: Let your imagination run wild with Fairytales, Fantasy, Monsters and Magic! ​Learn to paint your dragon, make your monsters and weave your own fairytales with art! Hike through Andy Goldsworthy's Wood Line and follow a path inspired by nature, myths, folklore and science fiction! Description: Join us for a day of art and fun at the San Francisco Zoo! Picnic on the grass and play at the main playground for lunch. Draw and learn about lemurs, giraffes, flamingos, penguins, koalas, ant eaters, zebras, grizzly bears, squirrel monkeys, peacocks, river otters and more as we stroll the grounds sketching our way through the wildlife! Description: Express yourself and let your imagination fly during modern art week at Creative IQ! Explore different mediums and methods to create your own contemporary work of modern art! Play with color, texture, shape and line. Get crazy and creative with composition while learning fundamentals of art and design! Description: Chocolate and sweet lovers unite in this Sweet Week of art camp! The site of San Francisco's Fleet Week also harbors some of San Francisco's best sweet spots too. A favorite week for campers and counselors alike, let the many delicious tastes and vistas that can be found in Ghirardelli Square and Fisherman's Wharf inspire you! Description: Come paint with us under the shadow of the Golden Gate! With breathtaking, world-class views of The Golden Gate Bridge, Alcatraz and San Francisco Bay to be inspired by and to choose from, Crissy Fields offers the perfect location for painting on site! This is a special opportunity for young artists to paint outdoors where we provide all the supplies and set up so all they have to do is come and paint! Celebrate all that is beautiful and iconic about San Francisco and the Bay Area with art this week at Creative IQ! Description: The natural world has been inspiring artists for all human history. From Georgia O'Keefe's flowers, to Hokusai's waves, to Ansel Adams landscapes of Yosemite, artists interpret and convey nature in a wide variety of unique and different ways. Join us as we create art that showcases the inherent beauty you see in nature, as we find inspiration in the natural world and all it's blooming glory! Week 12 can be a half week or a full week of camp! You can sign up for the whole week, Monday - Friday, or for the half week (3 days), running Monday-Wednesday. Find the discounted half Week 12 camp price HERE. 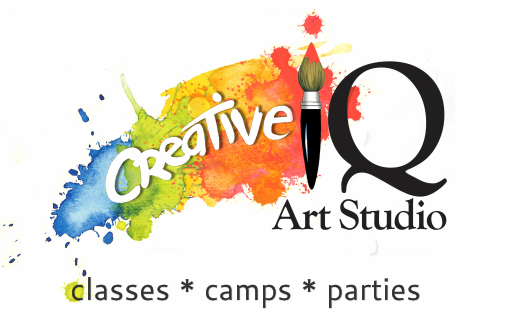 Oil painting, drawing and fine craft projects, exploring a variety of mediums & concepts! Different themes, art projects, and an original 16”x 20”oil painting every week! Creativity games & activities to keep us active and moving throughout the week! Freedom to work on a painting different from camp theme. Students bring their own lunch for our daily picnic! Create art. Learn technique. Have fun. Make friends! Assist with camp organization, morning set up and daily counselor meeting. Access to highest quality materials and brushes for their art. One Free 2 hour Teen oil painting class during that same week! Extend your camp day from 8am-6pm with before & after camp care! Fill out a registration form so we have all necessary information on file. Pay using the link to the right or products below. You can also drop off payment at the studio or call to enroll/pay. Remember to include a note of the week you are attending in the notes section available at checkout!